On behalf of the Houston Chapter of the Huston-Tillotson International Alumni Association, we extend a Texas-sized welcome to you. Our mission is to enhance our Alma Mater’s presence and brand in Houston and the surrounding areas. We work to develop mutually beneficial relationships between the University, members and the surrounding business community. 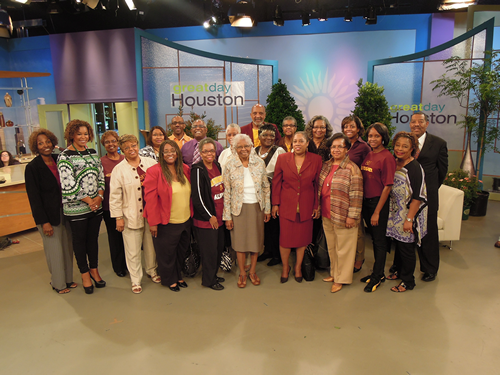 The mission of the Houston Chapter of the Huston-Tillotson International Alumni Association is to develop and enhance the involvement of the University’s alumni and future alumni in supporting the University. To enrich the lives of alumni and friends by helping them establish lifelong, meaningful and valued relationships with HT and with each other. To coordinate and promote programs that not only instill good will and pride, but also provide opportunities for professional growth and social interaction. To ensure the quality of our future alumni by continuing to assist the University in identifying and recruiting future students. You are officially invited to join our chapter today! Any graduate, former student, or friend is eligible to become an active member.